We offers a large selection of wooden urns, suitable for any type of service arrangements. Pine, Mahogany, Oak and Cherry are some of our more popular selections. Costs are often reflective of the design, workmanship and the rarity and quality of the materials used. 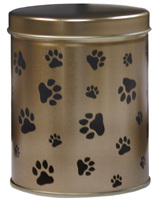 Great for cremains, or collars, toys, etc. 4.875" H x 4.0625" Dia., 57 C.I. The Keepsake Display - Black are ideal presentation pieces for our Keepsake Display - Black, black-painted wrought iron with a smooth, matte finish. Keepsakes sold separately. Able to accommodate a heart measuring 2 3/4" x 2 3/4 x 1 1/2". Soft velour material with drawstring closure. 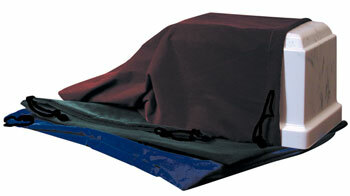 Available in Burgundy, Dark Green & Royal Blue. 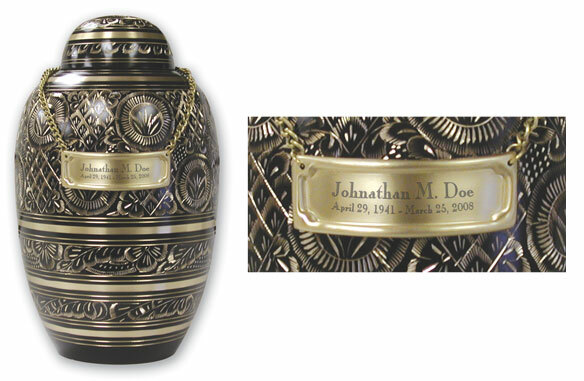 A Brass Medallion is the perfect way to personalize non-engravable urns. 1.31" x .84", Nominal C.I. Chain not included. Comes in a box with a satin cord. Large - 200 C.I. , 10" x 7.25"
Keepsakes approximately 3" x 1.75"
200 C.I. 10" x 7.25"
A beautiful hand-crafted urn 11.2" x 6.9", 200 c.i. Stock and Custom engraving available. A beautiful hand-crafted urn. 10.2" x 6.5", 200 c.i. Stock and Custom engraving available. 10" H. x 7.25" Dia., 200 c.i. A beautiful hand-crafted urn. 11.9" x 7.6", 200 c.i. brass. Stock and Custom engraving available. 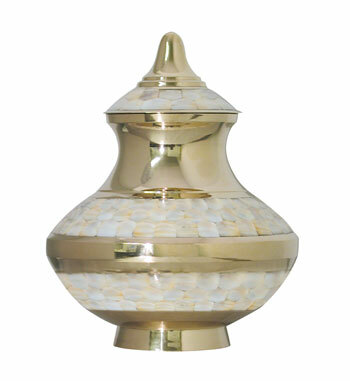 Gold or Pewter, A beautiful hand-crafted urn. 11.9" x 7.6", 200 c.i. brass. Stock and Custom engraving available. A beautiful hand-crafted urn. 10.5" x 6", 200 c.i. Available with name and date engraving. Measures 3 1/2" x 3 3/4"; 16 cubic inches. The Pink Bootie Baby Urn is for an infant up to 9 pounds and is a sweet bootie replica for the tiniest of Little Angels. The finish is non-tarnish silver plate. This urn has pink stars around the back and a heart with wings over the toes. Measures 3 3/4" x 1 3/4" x 2 5/8"
The Bible Infant Urn is a perfect replica of the Holy Bible decorated by a sacred raised cross. The book has the same texture as leather and comes complete with a blue velvet lined interior, and swirling fern leaves on the binding. 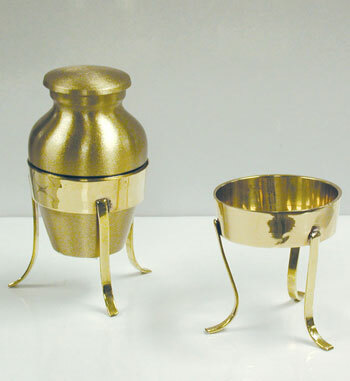 Each urn is plated with a nickle finish and can be engraved with up to three lines. Measures 4 3/4" tall x 3 1/2" x 1"
The Classic Infant Urn has a bedded rim and softened edges to fit the cremains of your loved one in the palm of your hand. Complete with a soft blue velvet interior, this little urn has a nickle finish and will not tarnish. Measures 5" x 2 3/4" x 1 3/4"